Our staff is always working hard to build a just economy in the East Bay by developing alliances among community, faith, and labor. For general information about EBASE or to learn more about getting involved, send an e-mail to info@workingeastbay.org. 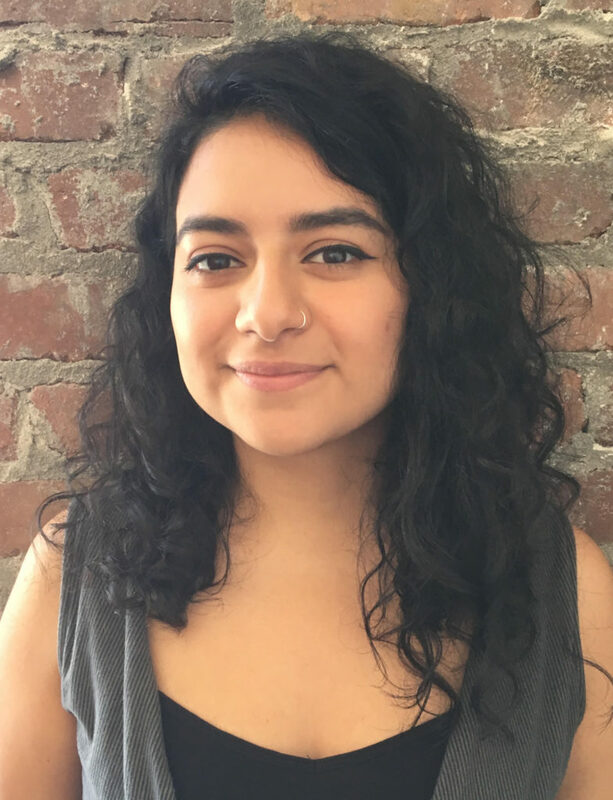 Maria Elena uses her “MacGyvering skills” to manage EBASE’s finance, HR, and daily operations, creating the operational backbone for our campaigns for racial, social, and economic justice. Prior to coming to EBASE, Maria Elena was a full-time SFSU Academic Program Analyst while earning her Masters in Public Administration. Her 12+ years experience in the field and 30+ years as her immigrants family’s administrator, has served to shape her view on how a solid operations foundation can propel an organization forward. When she’s not creating beautiful spreadsheets, Maria Elena spends her time with her dog, Gnome Chomsky, and her cat, Nancy Pelosi. Noah manages grants, events, and grassroots fundraising for EBASE through a movement-building lens. He brings a dynamic background in policy, advocacy, and nonprofit program development to the work with a long history of organizing in queer/trans communities. Noah graduated from U.C. Santa Cruz with a focus on Community Studies and anticipates a Master’s of Public Policy from Mills College in May 2019. Born in Santa Rosa, he’s lived in Oakland with his partner for over a decade. Outside of work, Noah enjoys songwriting, playing in a band, reading, road trips, and terrible puns. Noura Khouri has worked for nearly the past two decades as a human rights activist, campaign strategist and community organizer. She has lived in Palestine where she gained invaluable campaign and human rights experience, and in Egypt where she went to witness the revolution. Prior to that she led the Middle East Peace Program for the American Friends Service Committee, as well as many successful field campaigns for other organizations, including: the War Resister’s League/Stop Urban Shield Campaign, Green Party of Alameda County, Peace Action West, International Solidarity Movement and Badil Resource and Refugee Rights Center and more. Over the past decade, she has been on a quest to integrate the often separate worlds of faith and activism, and as part of her journey serves as an Organizer with Faith Alliance for a Moral Economy (FAME)-where she is excited to be working with faith, labor and the community to build bridges and destroy walls. 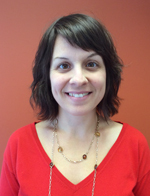 Kristi guides and supports the inspiring network of FAME faith leaders and spiritual activists. She is passionate about connecting the gifts of the faith communities to the economic justice movement. She has been involved in community organizing and advocacy for over fifteen years, working at the Volunteer Legal Services Program and Global Exchange, as well as engaging deeply in immigrant rights work since her days with the Jesuit Volunteer Corps. Kristi has her masters from the Graduate Theological Union and is a lay associate of the Religious of the Sacred Heart of Jesus. She lives in an Oakland co-housing community with her husband and son. 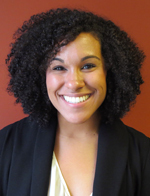 Saabir Lockett coordinates community outreach, voter contact programs, data analysis, and program development. 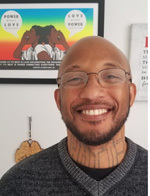 Saabir is a certified mentor and program developer working with formerly incarcerated individuals, and an active Bay Area Black Worker Center member, advocating for re-entry hiring, local hire, living wages and other initiatives to remove barriers to employment. Previously, he worked as the Field Director for civil rights attorney Pamela Price’s campaign for Alameda County District Attorney. Saabir served 22 years in California State prison, where he successfully advocated for his own release and supported five others to petition to get their sentences terminated. 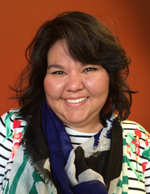 Cynthia strengthens the bedrock of our work, developing community leaders and fostering relationships with partners that work towards our collective vision. 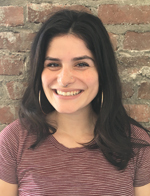 Prior to EBASE, Cynthia interned at UNITE HERE Local 2 in San Francisco, where she became passionate about fighting for good jobs, respect and dignity in the workplace, and keeping working class people in the Bay Area. Cynthia has a B.A. in International Relations with an emphasis in Latin American Studies from San Francisco State University. When she’s not out organizing, you can find Cynthia tending to her community garden, cooking with loved ones, or dancing Cumbias. Jahmese leads Revive Oakland’s incredible group of community, labor, and faith allies to win and implement community benefits policies that improve job quality and access. Prior to EBASE, Jahmese worked at several county, regional, and state agencies with an emphasis on research and community engagement. She holds a B.S. in Economics from Saint Mary’s College and a Masters in Urban and Regional Planning from U.C. Irvine. Jahmese lives in Oakland and can be found walking her beagle, on the bullhorn at rallies, running (slowly) around Lake Merritt, and occasionally starring on KTOP. Kate O’Hara leads EBASE, focused on building powerful partnerships and creating a strong foundation from which staff can drive winning campaigns for change. 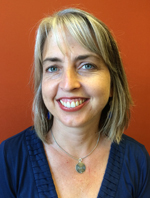 In her 10th year at EBASE, Kate previously directed the Revive Oakland campaign which won a 2012 landmark good jobs agreement for the Oakland Army Base redevelopment, followed by a construction careers agreement for AC Transit’s Bus Rapid Transit Project. Kate loves spending time with her husband, also a movement activist, reading, playing and having dancing parties with their two young children, Mabel and Miles. Daniel develops compelling narratives and utilizes creative strategies to project EBASE’s vision and victories. He brings nearly fifteen years of advocacy experience and has been involved in dozens of progressive campaigns at the local, state, and national levels. Prior to joining EBASE, he worked with the Drug Policy Alliance, a national organization dedicated to ending the war on drugs, where he co-chaired Spanish-language communications and Latinx outreach. Daniel graduated from U.C. Berkeley, with degrees in Political Science and History. Born in San Francisco, he currently lives in Oakland. Outside of work, Daniel enjoys cooking, hiking, volunteering, and playing the harmonica. Divya Sundar provides strategic research and policy analysis for EBASE’s local, regional, and statewide campaigns. Previously with the United Auto Workers, she conducted legislative advocacy and strategic research in support of a unionization drive at the flagship Tesla factory. Divya has a B.A. in History from University of Chicago and an M.A. in Comparative Cultural Studies with a Minor in Women’s Gender & Sexuality Studies from Ohio State University. Nicole returns to her home in Contra Costa County as the Concord Organizer, ready to build a strong movement of immigrants and low-wage workers in the suburbs. Prior to EBASE, she interned at UNITE HERE Local 2850 as an organizer fighting to win respect and good jobs for food service workers in the East and North Bay. She also worked with Local 19 organizing South Bay tech cafeteria workers. Nicole has her B.A. in Political Science from Loyola Marymount University. Outside of work, you can catch her throwing karaoke parties in the car or beating her bass drum for the movement.